Purchasing a good pair of hair extensions can be a massive beauty investment. It’s therefore important to take care of them in the best way possible so you can get the most out of them. 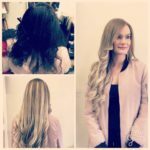 Whether your hair extensions are made from synthetic hair or real hair, it’s essential to use the right techni..
© 2018 Hair Extensions Melbourne. All Rights Reserved.